Trying a new thing here. 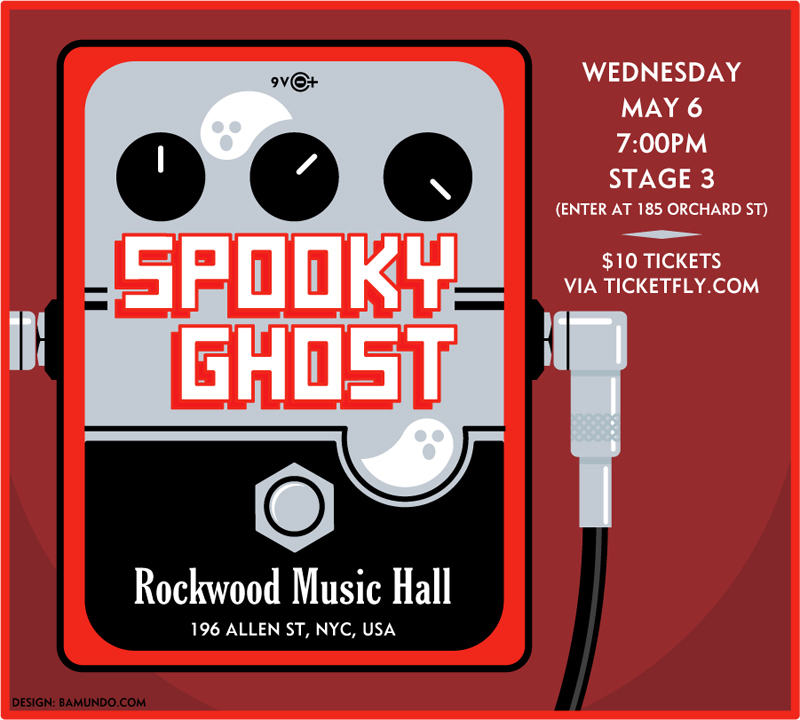 I am posting a stream of the last Spooky Ghost live show from Rockwood 3 NYC May 6th. This is new territory for me to publish these moments, but there is a context I think. I am teaming up with TipJar, a new company, and their idea is that if you watch or listen to an artist and like it, then you can throw some money in the virtual bucket or hat. I am excited to think that with this combination, we can all create a more virtual “Coffee House”. It is in fact the way we got paid for all the shows we used to play in “Sin-E” or the “Living Room” in the Lower East Side of New York City. All these places had buckets, normally a NYC Red Fire bucket, and somewhere around your second to last song, it got passed around from table to table furtively. I personally liked that whole way of doing shows because it brought a nice interactive feeling between performer and the audience. It ends up more like busking or street music where if the performance grabs you, you stop and watch and give and if not , you keep on walking. The idea is that you listen and you can put some money in the Virtual Bucket if you like and enjoy it. Here goes. I do think the show makes more sense as a complete thing and I hope it will make the S/Ghost supporters whom I love from far afield feel a bit more included. Anyhow I hope you enjoy the virtual concert. This entry was posted in News and tagged davidbowie, Gerry Leonard, gerryleonard, gerryleonardgear, Rockwood Music Hall, rockwood3, Spooky Ghost, spookyghost, suzannevega, tour. Bookmark the permalink.